Dr. Fernando Bedaque writes for the BJF about the increasing economic and socio-economic value of maintaining forests with native vegetation on private lands. For landowners, this means that preserving a proportion of native trees on their land can really help their economic and socio-economic agenda. Historically, conserving areas of forestry on Brazilian land was economically unfavourable. This is because areas of native forest could instead be used for industrial and agricultural activities such as mining and transportation, breeding cattle, becoming an urban settlement or other forms of human development. Therefore, in the past there would be no economic incentive for landowners to preserve some of their properties for nature or invest in forestry and biodiversity. However, since the new forest code came into play in 2012 and conservation initiatives have increased, maintaining native forests on private Brazilian land has become more profitable. The new Forest Code establishes general rules on protection and control of flora and fauna, since it has been recognized that so many important native species are going extinct. One of the ways it maintains these rules is by providing important economic incentives to landowners- increasing the value of native forests. CRA is the term used to describe Environmental Reserve Quotas (Cota de Reserva Ambiental). When a landowner in Brazil is unable to meet the law that at least 20% of his land must be left to nature, he can alternatively meet this legal requirement by investing in quotas. This means that a landowner with vegetation deficit can acquire CRAs representative of native forest areas free of legal protection (legal 20% surplus) in other rural areas to meet the lawful requirement. It is therefore expected that the use of Environmental Reserve Quotas will lead to a considerable increase in the demand for forest areas and, consequently, to the valorisation of native forest areas. Those most interested in investing in CRAs will be landowners who need to compensate for environmental damage, or their legal reserve deficits, with forested areas off their property. RPPN’s are Private Reserves of Natural Patrimony (Reserva Particular do Patrimônio Natural) – privately owned areas of land that are fully preserved and used for sustainable activities such as ecotourism or scientific research. Such activities must remain compatible with the goals of maintaining biodiversity, and an area will only be attributed RPPN status if it maintains environmental attributes such as native vegetation from the region’s biome. Having a RPPN is economically favourable for a landowner because it qualifies you for benefits such as tax exemption, equity security guarantees, easy access to credit in official banks and priority in environmental promotion government programs. 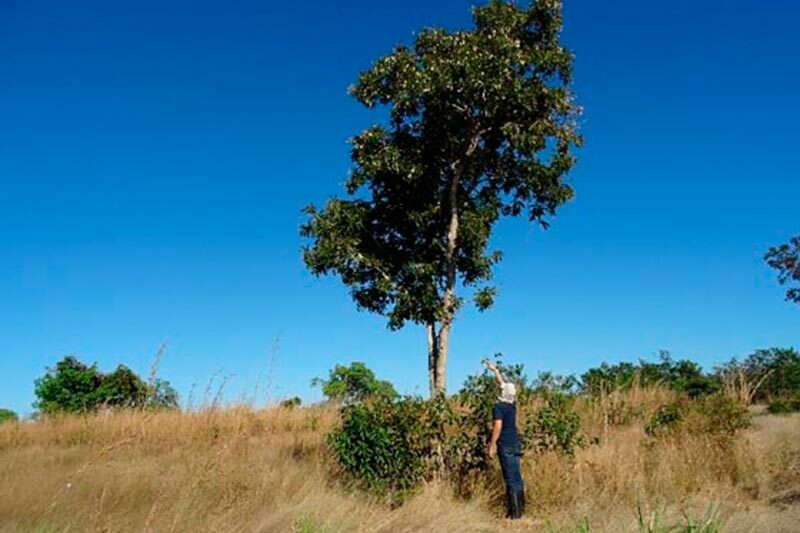 Programs that give these kind of incentives to landowners for developing RPPN’s have already proved successful, for instance the “State Support Program for the Paulista RPPNs“, set up by the Secretariat of the Environment in the state of São Paulo has gained a lot of attention and support. There are also many socio-economic benefits for maintaining such areas. For instance these areas of land protect species and their habitats, relevant ecosystems and the conserve scenic areas of nature. The types of sustainable activities that can still be performed on RPPN’s can involve local communities and people, fostering local development through conservation of the environment. In addition, the RPPN’s allow the development of scientific research and visitation activities, with ecotourism, recreational and educational objectives. This can contribute to the financial growth of an area and its owner through environmentally and socially sustainable activities. Public programs that allocate funds to owners of areas with environmental relevance are also worthy of note. A good example of this is the “PSA Hídrico” initiative, developed by the Government of Paraná and the city of Piraquara. Landowners in control of areas that cover the Piraquara reservoir basin are paid for protecting the basin and their land. This is because the basin supplies water to the city Curitiba- making it an area of important socio economic relevance. The increasing global concern about climate change has lead to a rapidly expanding global market for greenhouse gas emissions, such as carbon credits and Clean Development Mechanism (CDM) projects. It is expected that in the near future the compensation mechanisms for avoiding deforestation (REDD), could also become an important source of income for owners of forested areas. This is because people will invest more in forested areas as important climate sinks. Finally, A major benefit from the increase of forests on private property can be the formation of ecological corridors, technically known as forest clusters systems that connect and integrate important areas of initially isolated forests, allowing the free movement of animals, seed dispersal and increased plant cover. Thus, ecological corridors reduce the effects of ecosystem fragmentation by promoting forest linkage between different areas, allowing gene flow between species of fauna and flora. This transit induces the recolonization of degraded areas, in a movement that at once reconciles the conservation of biodiversity and the social and environmental development of the regions of influence. BJF’s work in Brazil aims to support the ecological restoration and forest preservation of existing sites within the well-known Araguaia Biodiversity Corridor. This corridor is 2,600 km in length, linking the Emas National Park in Goiás to the mouth of Tocantins River, in Belém do Pará. Therefore, making use of the rules and incentives provided by the Brazilian Forest Code, BJF promotes and supports reforestation and conservation actions in areas of the Araguaia Biodiversity Corridor, which covers 10.4 million hectares and forms the longest corridor the world. Consequently, native forests are becoming increasingly more valuable assets. This is due to a growing need for forest preservation in order to maintain a good quality of life in Brazil and in the rest of the world. The owners of private land in Brazil can therefore become the drivers of discussions about restoration and conservation, given the undeniable economic and socio-economic value of maintaining native forests. Dr. Fernando is an environmental lawyer at Dinamarco, Rossi, Beraldo & Bedaque Advocacia and BJF Team Member as lead specialist in Brazilian environmental law.